1921. This work is a textbook in the standard course in teacher training, outlined and approved by the Sunday School Council of Evangelical denominations. This particular volume is one of four specialization units for the Adult Department. 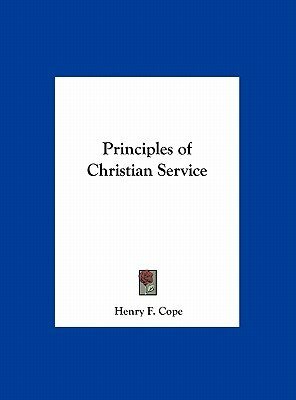 It presents in a vigorous and readable style the reasons for, and the program of Christian service with which all adult members of the church and the church school should be familiar. Contents: Service and the kingdom of God; what service does for the servant; organization for service; church as an enterprise; analysis of church service; service in the church school; service in the home and community.